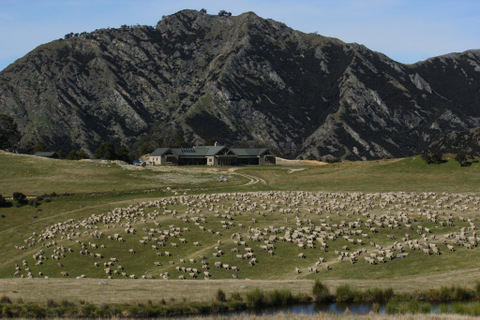 Moonlight Lodge is located deep in the Moonlight Valley behind Queenstown, overlooking sweeping tussock terraces and stunning beech forest. Historic water races, tailings and the remains of old huts give glimpses into the rich gold mining heritage of the area, once home to over 3000 gold miners during the 1862 gold rush. 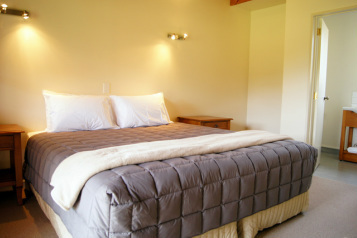 Featuring double/twin ensuite rooms, Moonlight Lodge has all the modern comforts and our beautiful setting allows you to relax, unwind and explore the area at your leisure. Moonlight Lodge is surrounded by mountains, golden tussock covered ridges and stunning beech forest - the perfect hide-away retreat. Moonlight Lodge can sleep up to 26 guests. Power is supplied by solar system during the day. A generator may be used in the evening if required. 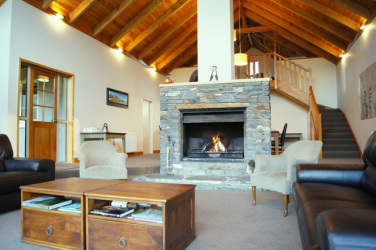 "We thoroughly enjoyed our stay with great hospitality and warmth"
"... Moonlight Lodge is in my top three 'Heaven on Earth' "
Guests can either walk, mountain bike, self drive (4wd vehicle required) or helicopter to the Lodge - Driving takes approximately 1 hour 30 minutes from Queenstown. 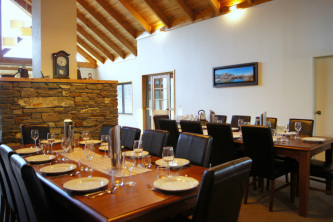 We can drive you to the Lodge from Queenstown or organise for you to fly in by helicopter. a 4WD tour of the property with commentary on the gold-mining, farming and ecological history. a scenic helicopter flight to Milford Sound and Martins Bay or a glacier flight with snow landing. A 25 % deposit required to confirm your booking (non-refundable). The balance to be paid 10 working days before arrival. All prices are in NZD and are inclusive of GST. Child Policy – For exclusive bookings, children are welcome. Ben Lomond Journeys reserves the right to change, amend or cancel bookings due to weather or any other unforeseen circumstances. In the event of such cancellation, a full refund or alternative dates will be offered. We advise our guests to have comprehensive travel insurance to protect themselves against unexpected changes in travel plans.